Welcome to BuyGifts.com promotional and custom products division. Here you will be able to find thousands of wonderful products to brand with your company or organization's logo. BuyGifts.com is a division of Kincal Enterprises (Drum Bum, Inc.) We have a large online gift network comprising tens of thousands of visitors a day and work out of a 7000 sq. feet office/warehouse complex in Richmond, VA. 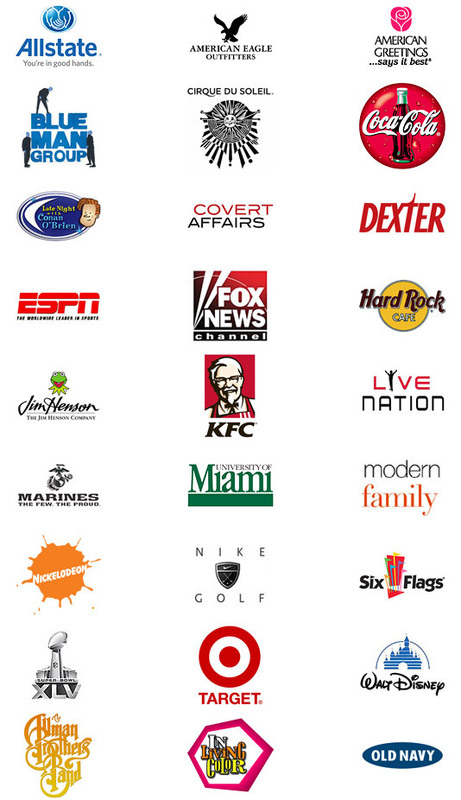 In our 13 years we are proud to have sold promotional products to such esteemed companies as the Walt Disney Group, Hard Rock Hotel, Allstate, Nike and more (see below). We also own 3 retail stores and have had our product appear in movies as well as being featured in several major publications like Prevention Magazine, Family Fun, Yogi Magazine, Digital Living Today and The Wall Street Journal. Whether you are looking for an advertising gift to mail out to your prospects, corporate gifts for staff retention or a yearly give-away for your existing customers, we can provide that perfect customized product to suit your needs. Enjoy our new software platform, allowing you the ability to find just the right item while requiring very little effort. And don't forget to contact us if you need assistance. We're always here to help.